Do you wonder why you face trials and difficulties? Is God for you in those trials? Where do trials come from? Why do they come? Here is an excellent message to help align our thoughts and beliefs to the Word of God. Joseph – he had a dream where his brothers would bow down to him. Then he was sold as a slave, he became a prisoner and finally pharaoh’s number two. God used him to help people through the famine. His family come to Egypt. The 12 brothers become the 12 tribes to finally a million people. Egypt forgets all about Joseph and begin to ill treat them and enslave them for 400 years. So every single generation born in Egypt knew only one thing – that they were slaves. They knew nothing else. Imagine you were born in a servant’s household and that’s all you did. That’s all you expect to be. But on the other side they had this promise – to Abraham about becoming a great nation and a promise land. Then God raises a man called Moses who finally stands before Pharaoh . And then through a series of 10 plagues he finally lets them go. And they are finally released. As they are going they reach the Red sea and Pharaoh has a change in heart and starts pursuing them. Then God tells Moses to put out his staff and the Red parts and they actually walk through the water. Wouldn’t you have loved to be there? The ground was dry! They walked right through knowing that this God is with them. When they reach the other side, Moses stretches his staff and the waters come together and drown Pharaoh’s army. They begin to dance and sing and jumping for joy. Ex 15 they are singing songs of praise to God and now they are on the other side of the Red Sea and let’s see what happens. They have just crossed the Red Sea. They have tasted of God’s mercy miracles, and, salvation. They were rescued from the most powerful nation. Who could rescue them except a powerful God? They must have had only thoughts of victory. They are a picture of triumph, trust and promise of God. They should have felt they could overcome anything. Now they have been walking in a dessert for 3 days with their families, children and babies with no water. Now when they see water they are thrilled. But imagine the shock when the waters of Marah are bitter. Who can drink bitter water? Can you drink sea water? So imagine their condition! I used to be in athletics – we had to run 100 meters sprints then jog 100 meters on the sand and we would do this 25 times in the sun. I used to feel like I would die. These guys were in the dessert for three days!! Moses prays and God acts which everyone witnesses the water becomes sweet. The question is what does God want us to learn from this? Why do bitter situations come in our lives and what does God do? I know of a man put all his savings into stocks and he did well and thought it was God‘s favour. Then the stock market crashed. William Carrey went through many difficulties – His wife died , his son died, his printing press got burned down and all his years of translations went up in smoke, Why did this happen to a man who wanted to serve God. Maybe you have been overlooked or ill treated. Why? I want to suggest that there are many blessings in the better things of life that we go through. How many of us has done some college education? You go to college and get a graduation certificate. But there is no college like the college of Marah. This is God’s certificate for us. When you go through pain bitterness sand sorrow you will find out the truth about Marah, the truth about yourself and the truth about God. Marah is bitter –Sometime as in this situation even to the point of death God doesn’t seem to mind. There is bitterness of different kinds and you wonder why I am alive. Marah is God’s plan for you. It’s on God’s map for your life. It’s not an accident. It was not a result to disobedient or sin. In fact they were praising and worshipping God and yet they hit Marah. I am not talking about bitterness that comes through sin. It came on purpose V25.says the Lord tested them- God was in it. What’s the Marah you are facing today – financial difficulty, relational issue. Accept it and find out what God want to do in you. When we first become Christians we see the miracle working power of God and we always expect that all the time. Haven’t we all at some time preached “come to Jesus and all your problems will be solved”?. Marah is God’s plan for you and there will be many Marahs in your life just like the Israelites faced. Trails are a part of life. Have you felt you faced the worst trial and then there is another one round the corner? James 1:2 Consider it pure joy whenever you face .. of many kinds because you know God is testing you. So when you face difficulties and hardship God is not against you. He is promoting you and testing you. Marrah is also not permanent. It may be a horrible death experience. I remember when my wife was very ill. One son was 3 months old and the other 3 years old . She was given 48 hours to live and I could not stay with her in the hospital. God spoke to me through Ps 91:18. And she came through.Some situations may take time , months and years but you will get out of it. God sent them to Marrah because of who they were a people with a new identity. They were God’s people. And God’s people need to have faith. God has a purpose for their live and for that they needed something. He was going to give them a nation a land and the they had t be an example to the other nations. But to get into that land they needed faith. God could not leave them as they were. We get saved, it’s exciting to sing songs, you may not be in IDT but God will teach you faith because you have a promise and God wants you to get hold of it. Word of Grace has a corporate promise for Word ofGrace Church and for that we have to become men and women of faith. That is our identity. Let’s not fool ourselves because in the desert – the first generation did not get to the promise land, they perished. It would be sad if you did not get hold of the promise that God has for you. Will you learn that faith? One generation said no and they died and a whole new generation had to come. They could have crossed the dessert in one month but it took 40 years. This generation that perished had miracles in their lives every day – everyday they had Manna. We can have miracles in our lives but does not mean you are spiritually mature. It only testifies to a faithful merciful covenant keeping God. That whole generation perished. Financial blessing is only God keeping is covenant to bless you. But you have something to posses. We have an identity and have to get some where. God is for you at Marrah because he wants you to get some where. He sees in you a man and woman of faith and purpose. We pray “we always want to follow you” – then don’t be surprised when you come to Marah because he has answered your prayers. We had a social project we were involved as a church and that was not my vision . It began with someone else. It needed 20 lakhs each year. Then one day the donor withdrew all funding and I hit Marah. It was not small faith, It needed a lot of faith. The Isarealites saw the Red Sea part just three days before and now they are grumbling. They are murmuring saying we wish we were in Egypt. They were grumbling against t God. They made Mosses life miserable. When you do not have faith you make someone miserable. They only had a three day faith and loved God as long as they could get what they wanted.Their love for God dried up in three days, He is not there just for our needs when we turn to Him.He is not a Santa Claus. God wants a persevering faith . That day they learnt something significant. Marah is very bitter. No one could get water to drink from anywhere. They were in an impossible situation. Are you in a situation you feel is impossible? In the time of testing no one died. They had to go thirsty for a long time but no one died. God intervened and did the impossible and turned the bitter water in to sweet. They knew that God can and will provided. Marrah is the place of the revelation of God where he makes himself known to you. Then you sing with real faith in God. You learn theology, doctrine about God. You learn about God and who is he is to you so that you can life by faith. It’s not for the leaders to tell you who God is but for you to discover who He is and that He is with you. God does provide and step into our difficulties. As I was telling you earlier the support withdrew to our two works called Asha which means hope and Abba Ghar – an orphanage. Now this is what I did. I am confessing to you. I was troubled because I had never lived this faith. We had 9 staff who had given their lives to something of God, given up their jobs to serve and my heart broke. I gathered the smart looking people in the church and told them our situation and was hoping they would say we can do it. And they turned around and said “why should we do it”? I was looking to people and God did not allow that . I didn’t know what to do. My heart broke. I spoke to the staff and we took it one month at a time and before we knew it 2 years passed and the money kept coming. Our hearts were stretched for 2 years. God had not gone when everyone else had gone. Maybe someone in the past who helped you had gone but he doesn’t. This is God’s economy and not the worlds. Learn to pray before you go to friends. You have to believe that God will help you. Verse 25b-26 God did not just come but changed the water and gave them a decree that this is how I would be with them that the plagues of Egypt would not touch them and God gave them a right that they could always depend on him He came them a decree . 2Cor 1:20. For no matter how many promises God has made, they are “Yes” in Christ. And so through him the “Amen” is spoken by us to the glory of God.Jesus said it is finished when he hung on the cross. Every promise is “Yes”. Learn to trust in God and wait for God and hang in there. God gives a revelation and gives a decree. God will turn things that the bitter things in your live to something sweet. Don’t be in a hurry to rush out of your bitter situation. Wait for God because that’s the very water you will drink when he makes it sweet. Job could say The Lord gives and takes away. Some of you have been discouraged and opposed and cursed you. God want s to bless you. Whenever you partake of the bread and the cup you are partaking of this decree and covenant that God is for you. Marah is not permanent – the they came to the place called Elam a place of 12 springs and oasis in the dessert. You will come to a place of refreshment. God does that. Elim was just 7 miles way- the place of refreshment is just around the corner. Our goal is not Elam but to leave Marrah – leave bitterness with faith. That is our goal,, be ready for the preparation of what God is doing in your life. What is your name?Think of why you were called by that name. I know of a lady whose name is Crystal. Thats ok! But do you know what her surname was? “Ball”!!!! Imagine if your name was “Pain”! 2 verses tucked away in 9 chapters containing genealogies with scores of names. Most of these first few chapters are only listing the descendants of the various tribes of Israel. the author of this takes time to mention about Jabez and his story and prayer. Nowhere else does he stop to mention about someone’s story while giving the descendants of the twelve tribes of Israel. Now the Bible does not tell us a great deal about Jabez or his story, in fact Jabez is only mentioned in these two verses we are dealing with today. The author does not give a complete background of Jabez, but he just mentions I would guess the important things about Jabez. It does not tell if Jabez was rich or poor, young or old. It just simply says that Jabez had a prayer. Now in this text we don’t find much about Jabez, but we know a few things that are definite about Jabez. (1) He was named “pain or sorrowful” because is mother suffered pain at his birth. (3) Jabez had a prayer that was answered! -Jacob … deceiver or one who tricks … he tricked his brother out of his birthright. Then God changes his name and his destiny . -Jesus … God saves … He through His life, death, & resurrection saves. Jabez has the distinction of what his name means … to grieve, be sorrowful. His mother for whatever reason chose to memorialize his birth experience by naming her son Jabez … because I bore him in pain. Jabez could have pitied himself, blamed his mother and himself and gone down the tube. This morning are you looking at your background, your circumstances, obstacles, poverty, health and feeling sorry for yourself? But something happened in this man’s life … something that took him from pain to glory. What made the difference in this man’s life … who was at one point characterized by causing pain … to become a man remembered as more honorable than his brothers? It’s the third distinction of the life of Jabez … his prayer life. Being honorable speaks of the character, responsibility and respect of the person. Jabez went from being a pain to being more honorable. His life take a turn for the realm of glory as he abounds into greatness not made on his own. -Big distinction … Jabez believed that God heard and that God would answer. -Bigger distinction … Jabez left the answering of his request up to God. Jabez called on the One who could, would and wanted to make the difference in his life. His prayer let loose God’s will, power and blessing in his life. And it can be the distinction in your life also. At the age of seven, he had to go to work to help support his family. At nine, his mother died. At twenty-two, he lost his job as a store clerk. At twenty-three, he went into debt and became a partner in a small store. At twenty-six, his partner died leaving him a huge debt. By the age of thirty-five, he had been defeated twice when running for a seat in Congress. At the age of thirty-seven, he won the election. At thirty-nine, he lost his reelection bid. At forty- one, his four-year-old son died. At forty-two, he was rejected for a land officer role. At forty-five, he ran for the Senate and lost. At forty-seven, he was defeated for the nomination for Vice President. At forty-nine, he ran for Senate again and lost again. At the age of fifty-one, he was elected President of the United States. During his second term of office, he was assassinated. But his name lives on among the greats in U.S. history--Abraham Lincoln. Verse 10 says he was more honourable than his brothers. That is, he lived in a way that set him apart. He lived it down. He cried out to God. He took his situation and went to God knowing that God could change his destiny. It makes a great difference who you address in prayer. When it comes to prayer – who you pray to is very important. Isa 44:6 “This is what the LORD says— Israel’s King and Redeemer, the LORD Almighty: I am the first and I am the last; apart from me there is no God. Its not enough to pray to a god but to the true God. Ps139 God is omnipresent, omnipotent, omniscient. Does the God you are praying to have all these three qualities? “I will make you into a great nation and I will bless you; I will make your name great, and you will be a blessing” (Genesis 12:2). We must seek the blessing of God that he might be a blessing to the world. The Bible tells us that our whole reason for existence is to be a blessing to God and a blessing to the world. That’s it. You are not here for you. The world does not revolve around you. Your whole purpose for existence is to be a blessing to the world. There is nothing wrong with praying for God to bless you, if it is for the purpose of being a blessing. It is not wrong to pray for wealth, if you are wanting to bless people with your material blessings. If you want to have more so that you can give more, then that is an acceptable prayer. If you want to be able to give more to missions or an outreach program so that people will come to know Christ, then by all means pray for material prosperity. Let us not be like the rich fool who was hoarding his wealth – his life was taken away from him. When we were in Mumbai we lived in a small one bedroom apartment but we did a lot of hospitality and had scores f people stay at our home. When we moved to Pune and were considering buying a home we wanted to buy a 3 bedroom apartment so that we could do a lot of hospitality. God made it possible for us to have that. Jacob said, “I will not let you go unless you bless me” (Genesis 32:26). And from that point on Jacob entered the promised land and prospered so that his descendants blessed the whole world with unbelievable spiritual blessings. Through Jacob and his offspring, God’s Messiah came into the world. God wants to bless us, but we have to want the blessing. We need to wrestle with God and not let go until he blesses us. Heb4:16 We can boldly approach the throne of grace. God wants us to be bold in our asking, for yourself, your family. Jabez asks God to bless him by enlarging his territory by increasing his border. He is simply asking God for more land. Jabez wants God to prosper him specifically by giving him more land because he thinks that will help reverse his situation. The surest sign that you are a growing Christian is that there is within you a growing desire to have your life used by God. The thing that grieves me most about our current culture is our preoccupation with ourselves. It is all about us. We want more, and we want it faster, better and cheaper. Our lives become shallow and self-centered when we are worried about how we look, what we have, and who might have more. So many people never have a purpose larger than themselves. This is why Jabez prayed the second part of his prayer: Jabez prayed that God would enlarge his borders. Jabez was from the tribe of Judah,which was the ruling class among the Hebrews. To increase his territory meant that his people would have more area to live in and that he would have more people to serve as a leader. He was not thinking of himself, he was thinking about the welfare of others. A leader is a servant of other people. Jabez wanted to be used by God more than anything else. Is that your prayer and desire? Is there a longing, a passion inside of you, to be used by God no matter what it takes? Are you living only for yourself at this time, or are you wanting God to use your life in this world? Do you want to be blessed by God to be a blessing? Then pray for God to enlarge your life and your sphere of influence. Ask him for something so big that you cannot possibly do it by yourself. Ask him to enlarge your territory. Surely there is more to life than trying to make yourself happy. “Enlarge the place of your tent, stretch your tent curtains wide, do not hold back; lengthen your cords, strengthen your stakes” (Isaiah 54:2). God wants you to see beyond the circumstances. He wants to enlarge your life if you will join him by praying and believing for his blessing. And their vision gets limited by their circumstances and instead of taking giant steps of faith, they take baby steps. What if we drew a line around this building and said we want to claim all the territory beyond this place for God? Jabez looked beyond where he was and what he could do to where God was and what God could do. We can take a lesson from the vision of Jabez. Let’s not sell ourselves short. Don’t put God in a box…think of everything that’s outside these 4 walls! Jabez next asks God that God’s hand might be with him. This terminology denotes God’s presence and empowerment. The third thing to consider is: Jabez prayed for God’s hand to be upon him. Jabez knew that what he was praying for was bigger than what he could accomplish himself. He was praying for something so big that only the hand of God on his life could accomplish it. Mt 6:13 And lead us not into temptation but deliver us from the evil one. Jabez, then, is asking God to bless him in three specific ways in order that life might not pain him. His name means pain and he wants God to bless him so that life will not pain him by bringing him hardship and distress. If God blesses him by enlarging his land, by helping him in life, and by dealing with him apart from evil, then God will have reversed Jabez’s situation, and life will not pain him. This interpreter connects the purpose of the prayer with cause for the prayer. Because Jabez was born in pain, he asks God to bless him and reverse his situation that he might not have pain. There are forces of darkness out there. Pray for God’s protection. We read in the newspaper of how a teacher got stabbed by a student to got a “remark “ in his diary from her. She was not expecting this to happen. Pray that you will not fall into temptation. We need to keep ourselves pure and holy.Its not wrong to pray for protection. In the context of the church pray for enlargement and protection. The story ends with the sweetest words – “God granted his request”. Isn’t it wonderful when God answers prayer. As a church I want us to prayer for these 5 areas. MagnifyingGod – that is the purpose. Maturity, Mission, Ministry – pray for enlargement and expansion that your spiritual footprint is increasing. Membership – Lord keep us united in the purposes of God. Pray for your jobs, your family. Fathers it is your responsibility to pray for the family and take responsibility for the spiritual welfare of your family. A question of egg or bacon!! This message was preached by Colin D Cruz at Word Of Grace church, Pune on the 5th of Feb 2012. This is a summary of the message. If you would like to listen to the AUDIO version please click here. We read horrifying news in the newspapers etc. Last week there was an article of how on a cook show in Holland the two people cooked and ate each other’s flesh!! There are all kinds of evil and atrocities happening all over the world. How can the world be transformed from evil to good? What can heal a wounded heart. What can change the human soul? Only the power and love of Jesus. Only Jesus can forgive sin, heal souls and change them one life at a time. Gladly Staines husband and sons were burnt alive. What was her response? I forgive them. The future of India does not rest with the government but with the local church. With churches filled with the power of God . We will be able to change things. How do you get reconciliation between a husband and wife who have divorced two communities at enmity with one another, two warring communities? Only Jesus. TEXT:Proverbs 29:18 Where there is no revelation , people cast off restraint. What do we gather of on a Sunday? I will paint in broad brush strokes a picture of what the purpose of the church ought to be. Jesus determines the vision and purpose of church. 1 Matt 28:18-20 The Great Commission. This is the purpose of the church. This is the heart beat of Jesus – to save the lost. We can break it down into five things. 1. Mission- the purpose of the church is to proclaim the goodness of the Lord Jesus . Jesus is offering amnesty and there is a cut off date i.e his return. If you accept Him as your saviour your sins will be forgiven. But once He returns you will be eternally punished of you have not done that. 2. Membership – till you are baptised you are not committed. You can talk about joining the army but till you wear the uniform you are not in the army. Baptism puts you into fellowship with other believers. It’s a question of are you the hen or the pig, the egg or the bacon The Hen is involved: she lays an egg and walks off .The Pig is committed – he lays down his life for you to have bacon. 3. Maturity- Discipleship. “Teaching them to obey...”Babies are great but if they do not grow up there is a problem, what was a joy will become a tragedy. We need to grow in the knowledge and grace of our Lord and saviour. We all grow in stages from infants to children then teens, adults and then parents. 4. Magnification. Matt22:36-40 we are created to worship God. We should be involved in worship – it’s not just singing songs- even washing the dishes is an act of worship if done unto the Lord. So whatever it is you do, do it as unto the Lord. 5. Ministry and serving. Love your neighbour s your self. The church is a community where each one is loving each other. Each one of us has been given gifts by the Lord – they need to be nurtured and then deployed. Rom 8:29 We are predestined to be conformed into the likeness of His son. The church is the environment where that will happen. As we interact we will sin and cause sin but we gently put it right and help each other to put it right because we want to be more like him. Matt5:25-35 Part of our serving also involves works among the poor. Gal 2:10 Jesus wants us to remember the poor. Part of our vision is t be a blessing to the poor. Tomorrow is the first day of the rest of your lives. What will you do with it? There is a whole nation that doesn’t know Jesus and are suffering. Are you willing to invest your life for the kingdom? The church comes first and the rest will follow. Matt 19:29 And everyone who has left houses or brothers or sisters or father or mother or wife or children or fields for my sake will receive a hundred times as much and will inherit eternal life. The Apostles’ we willing to die for their faith and they did,. ARE you? 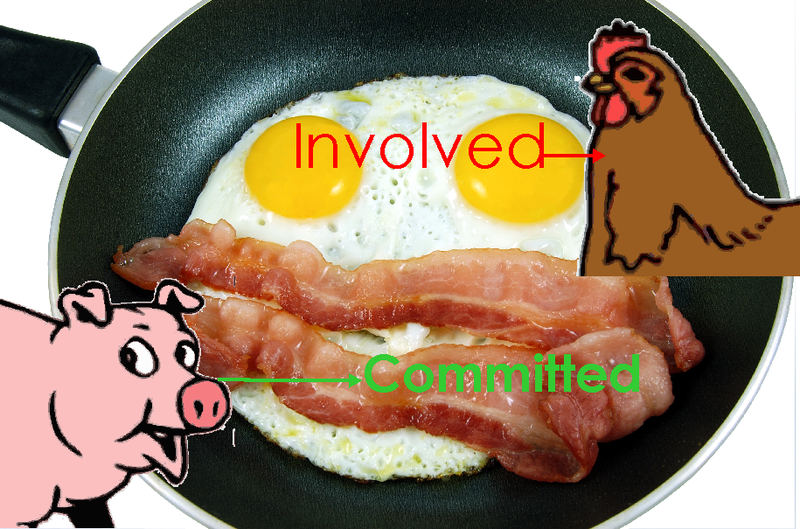 Are you involved or committed ?It’s a sacrifice but in comparison with Eternity it’s worth it. We can’t do this alone we need each other. We need Jesus to help us. The following is a summary of the Second session of a Seminar conducted by John Paul Jackson in Mumbai this year. Those of us who attended it have come back fired up to live and think above the line. We hope to capture the content ,and the spirit of what was communicated there. Be blessed. Right at the outset of the conference John Paul emphasised that no matter what the gift Character is of utmost importance and we need to pay attention to it. Character gives the gift credibility and reliability. Many people are gifted but inconsistent. God wants to raise up a generation of prophetic people that will not succumb to temptation and not succumb to earthly treasures. 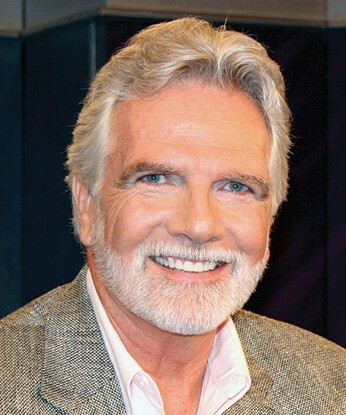 John Paul Jackson right at the outset wanted to emphasis the importance of Character and integrity in our christian walk and that no amount of spiritual experiences could be a substitute or a guarantee for ongoing holiness in our lives.Just because you have an angelic visitation, an experience, prophetic gifts that is no guarantee that you will not fall or that you will always be close to God. The Israelites saw God doing powerful things and then they went out a built a golden calf. Experience will not change you – Its 5 years later are you still working on the same problem, that's a problem. There has got to be something more than that. Luke 4:32 They were amazed at his teaching, because his words had authority. His word was "with authority". We gloss over that word authority. We don’t talk about it much but everybody wants it. The Wimber ministry would pray “more power Lord, more power “for everything. But I learnt something a few years ago. There is no spirituality outside of God – only pseudo spirituality which is of a lower form. We talk a lot but don’t have a lot – why? Why don’t demons manifest when we walk? Like it happened to Jesus? What will it take to reach that purpose? How do you have the presence of God in you where demons flee? We have confused power and authority. They are not one and the same. When was the last time you said “more authority Lord”? There is no shame in wanting more power, but more power with more authority is stunning. Jesus carried authority. Greek_ exussia. It’s the highest judicial control. Authority has control /rule over both the visible and the invisible world. It has rule over demonic forces and fallen beings. Power – Gk: dunamis, creative, super natural strength to noticeably change something. Power – ability to change things in the physical world but not in the spiritual world. We see sporadic power. We are taught that healing took time and that miraculous was instant. But in scripture we see healing that are instant . Realize that healings are always the removal of something – germs, bacteria, demons. Miracles – creation, regeneration of something. Scriptures classifies removal of demons as healings. Sometimes there is a combination. You remove a demonic hold over a kidney but it needs regeneration as well therefore there is healing and the miraculous at work. Miracles are related to power. Acts 1:8” You shall receive power..”Power shifts and changes reality. A leg that was crooked is now straight. It can also be as gentle as the Holy Spirit hovering over Mary at the time of Jesus conception. It’s the same hovering to the Holy Spirit over the earth at creation. You can conquer without authority but you cannot have longevity without authority. The church can over throw but we have lost the understanding of a need for authority to rule. Matt8:9 when the centurion came to Jesus he understood as a man under authority. Your authority will heal my servant he said. But we gloss over this. It was not power but authority. This may be the only time Jesus marvelled at faith. Why we are inconsistent in faith is because we have not understood authority. “Teach me your ways that I might know you”. There is a system an understanding of the ways of God and if we know it it will work. This goes back to Eden- eat/don’t eat. The ways of the Lord. We need authority from heaven. Deliverance is about authority. It’s about relocating. Not having authority won’t help. Luke 10:19”... I have given you authority to trample on snakes and scorpions and to overcome all the power of the enemy; nothing will harm you. The KJV used the word “power” which is not right. It’s not dumanis but exussia i.e authority/. 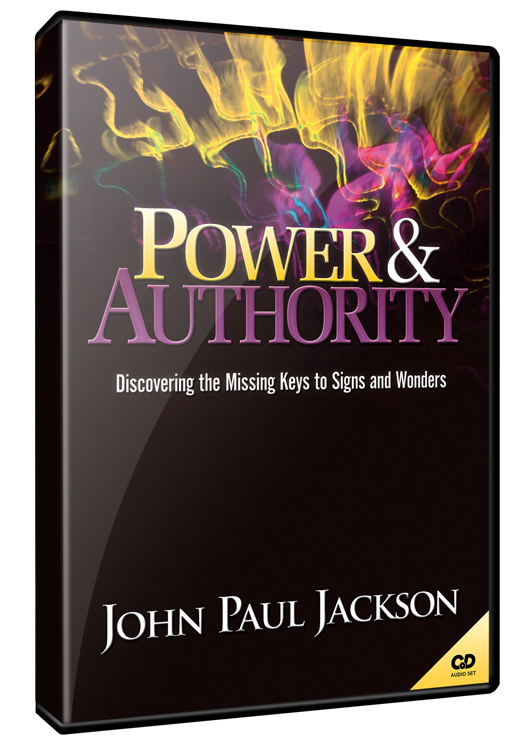 Authority is greater than power that is why satan does not want us to understand this. “See all these kingdom and authority..” Who gave satan authority? – Adam and Eve did. Jesus got it back on the cross and all power and authority has been given to Jesus. A king who has not authority will have chaos. Matt9:6-8 the son of man has exussia – authority to forgive (not power). Jesus healed and forgive with authority and not power. 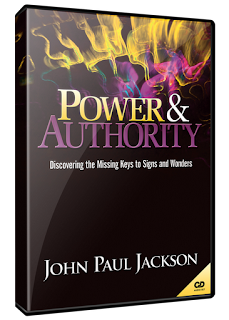 In John 10:18 – the word should be “authority” and not “power”. One sign of authority is the ability to rule over something – to get obedience. “Even the winds and the waves obey him” This is not power but authority. If we exercise the wrong thing, nothing happens. How do you get authority? One way it comes is through relationship. It’s more difficult to get. There is a protocol in heaven – also respect, awe and wonder by everyone of God. There are no “high fives” given to God and it’s not religiosity. Relationship comes by closeness and proximity. With that proximity you begin to absorb authority. It is released through proximity. The closer you are the more authority you have. Some people who talk about grace say “I don’t need to repent; I don’t have to have a deep relationship with God.” It’s got all twisted lately. Philosophy has replaced theology. We have to come back to a place of understanding the Word of God. In here we learn to handle everything. Authority is a result of being one with God. 1Cor 6:17. Man lost authority in Eden because of disobedience. They gave it temporarily to Satan till he was defeated. How do you give authority/rule to something when you do not obey your authority? Demons will not obey you. Sin separated us from God. It distances me from God . God is the source of all life and light. Ezekiel 28. Satan fell on 3 levels. When he falls he gets darker because he is leaving the Light, He begins to decay because he is not close to the sustenance of life. Every day without God, he decays. Only God can give light and life. So when people tamper with demonic forces, they have invited darkening and decaying beings into them. The more we obey God the more authority we will have. Jesus had all authority when he ascended to the Father and while on earth he had authority because He obeyed the Father. Phil2:4 “Became obedient...”v9-11 the result of that obedience. He was given the name above all other names. The more humbling , the more the exaltation. We are saved by grace but we cannot mis- appropriate grace. Lordship is a question of authority. There is another level of obedience i.e submission. Submission has to do with attitude. Obedience has to do with action . Obedience is sitting down on the outside. Submission is sitting down on the inside. “Cheerful giver” – giver is obedience. Cheerful is attitude. Submission is as close to God as you can get. Submission says if it’s important enough to God you will do whatever it takes,. Submission trusts in God’s soverenity. This is above the line thinking. You can’t have heavenly thinking without being submissive. Jesus obeyed the Father in totality. We need to change our thinking. We are almost guilty of teaching our people of how to walk on the edge of the kingdom. To the degree you walk on the edge the more darkness you will have. Increased righteousness leads to increased authority. Decreased righteousness leads to more darkness in our lives with diminished authority. You need the authority in you to exercise heavenly authority. The closer you are to God the more authority you absorb. When you loose righteousness you loose authority. Matt 10 -The disciples has a measure of authority but they did not have the fullness of authority. Do nothing that removes you from the presence of God or smears your integrity and character. Sacrifice what you need to. God can make it up to you. Don’t walk on the edge of the kingdom but walk close to the throne. We need the authority of heaven for what’s coming in the next three years. Powers will shift, nation swill rise and fall, oil will be a war tool. The goal is not authority but to get close to Jesus – the fruit is authority.